Anti-lock brakes were designed to help you control your car during adverse driving conditions. The ABS system keeps the wheels of your vehicle from locking up, preventing skids when the road is wet or icy. Prior to anti-lock brakes, a driver would have to pump the brakes manually to prevent this phenomenon. Anti-lock brakes sense when your vehicle is in a skid condition and pulse the brakes hundreds of times per minute, which is much quicker than any driver could react. Although ABS brakes also reduce the stopping distance of your vehicle, this is not the main purpose of having ABS brakes. 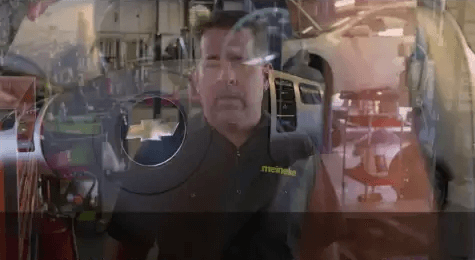 Get more information about anti-lock brakes at Meineke #2531 in Las Vegas, NV. ABS brakes were designed to prevent lock-ups and skids but also offer a few other benefits. Some insurance companies offer discounts for having this safety device because it has a track record of effectively preventing accidents. ABS is standard on today’s vehicles. Without this system on your vehicle, you may not get the premium resale value. Although the ABS system cost does add to the overall cost of your car, it’s worth the added safety and value. 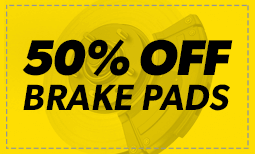 Talk to the technicians at Meineke #2531 in Las Vegas, NV for more information about ABS brakes. If you notice any of the signs of impending brake failure, do not continue to drive your car. Common signs include a lit ABS light, clicking or grinding noises while braking or a pulsation of the pedal when braking. You should also have your brakes inspected if you notice that your car is taking longer to come to a stop or pulls to one side when braking. Other red flags include increased drag when accelerating or lack of resistance when pressing on the brake pedal. For ABS brake service and all types of brake repairs, visit Meineke #2531 in Las Vegas, NV. Signs of potential brake failure can appear suddenly or gradually. In some cases, the brake pedal may go out, while in others you may notice a creeping increase in the time it takes to stop your car. Strange noises while braking can also indicate a problem. Faulty brakes decrease the control you have over your car and can lead to a serious accident. If you notice a problem with your brakes, have your car checked immediately. Contact the car repair professionals at Meineke #2531 in , NV for repairs and maintenance to your brake system. The cost to repair or replace an anti-brake system, or ABS, can sometimes be concerning. The first thing to do is to bring your vehicle to the specialists at Meineke #2531 in Las Vegas, NV. You may only need new brake fluid or just a minor part. It might be that new brake pads are needed. Of course, there could be issues with other brake system components. Our professionals can resolve the problem and see that you’re back on the road safely with a solution that is as cost-effective as possible. If you are thinking about replacing your anti lock system, a reputable service center can help you choose the best one for your car and help you ensure optimal function. Today’s manufacturers are continually improving sensitivity and reaction time in order to improve safety. As part of your brake’s mechanism, your ABS is affected by the type of brake fluid you use. High quality fluid is less prone to clogging your valves, so it is important to know where to buy brake fluid that is right for your system. Ask the professionals at Meineke #2531 in Las Vegas, NV about replacing and maintaining your ABS, as well as brake fluid cost.